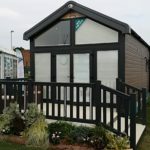 The PAL Group are pleased to announce this years Manchester collaboration between Fensys UPVC Decking and Swift Holiday Homes. The exhibition, The Manchester Caravan & Motorhome Show, will be held at Event City, Trafford Park 17 – 20 January 2019. More details at www.caravanshows.com. Come and see our range of UPVC decking options along side the industry’s premier holiday home manufacturer Swift. Find us in Hall 2 stand 2-5. We look forward to seeing you there.